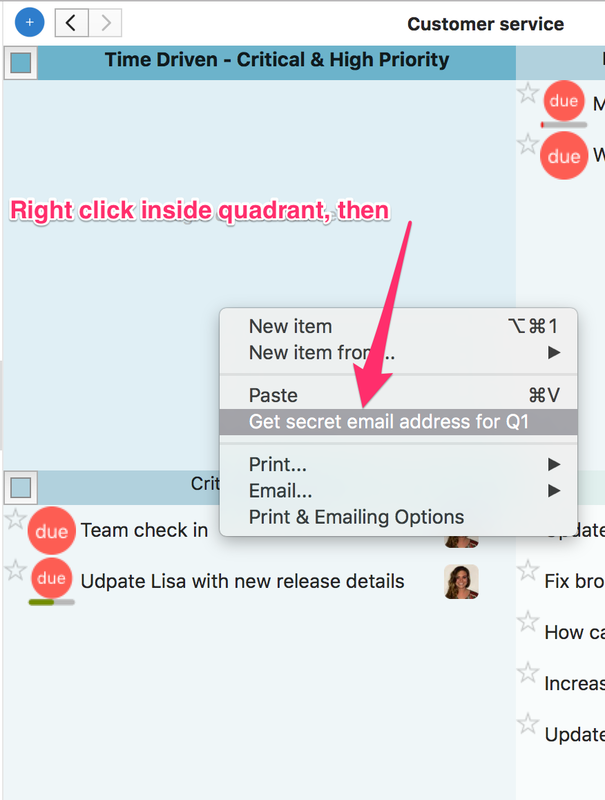 You have several ways to integrate your Outlook email with your Priority Matrix for Mac. Click on the “Inbox” tab at the top of your Priority Matrix. Scroll to the bottom to open up the tab to copy your secret Inbox Address. 2. 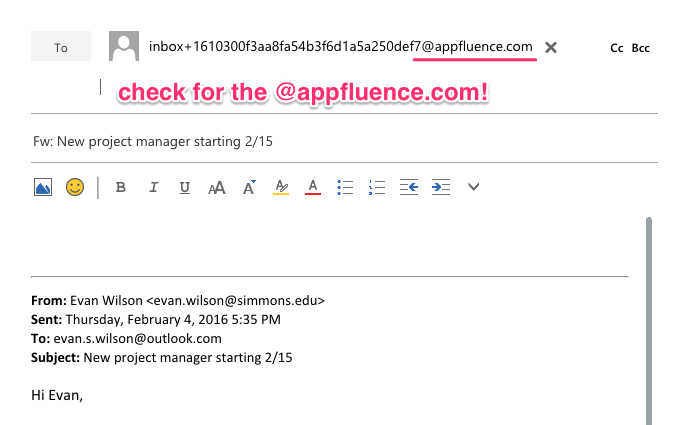 Go to your Outlook and forward any email by pasting the “secret email address” into the email address section. In one to two minutes the email will be forwarded to your inbox in your Priority Matrix. Repeat step 2 from above If you would like to set up automatic email forwarding from Outlook to your Priority Matrix, follow the link!